Access Control allows you to control access to a physical or virtual area. IDawn Technologies can give you both kinds of solutions. 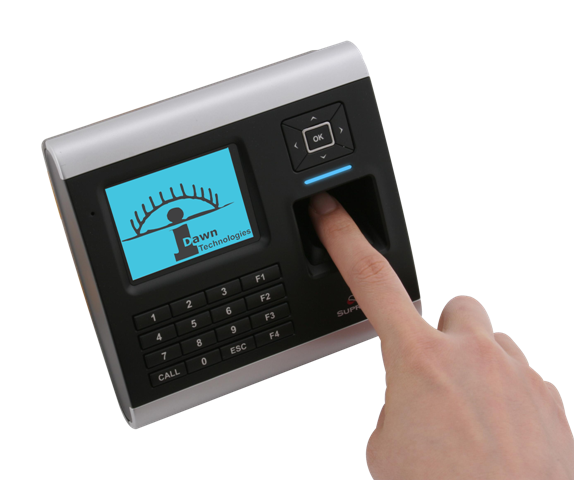 Our Fingerprint/RFID Scaners meets most international standards and keep your business secure and running smoothly so that you can focue your energy elsewhere. 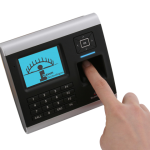 Our Access Control Systems allow you to manage your security in in several ways: You can have a fingerprint reader at the entrances to your key operational areas to not only secure the area, but also to monitor the movement of your employees through these areas. Our electronic locks can also be controlled through regular push button switches making them ideal for use even in places where a security guard manually grants access into/out of an area. The Access Control Systems also have the ability to track clock in and clock out times as well, so your door lock can essentially be used as your time clock as well.